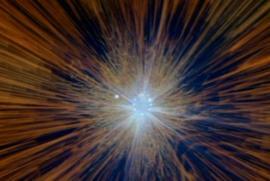 What happens when we die? This is a question that we have all asked ourselves at one point or the other, no matter how certain we are in our beliefs. It is also the central question behind the 1983 Brainstorm. To say that the answers supplied in the movie are somewhat on the disappointing side is an understatement, but one really shouldn't look to Hollywood to provide us with answers to Life's questions. But at least Brainstorm asks these questions . . .
One can almost think of Brainstorm as a "prequel" to the 1995 movie Strange Days in which data-discs known as "squids" containing recorded memories and emotions are illicitly traded on the streets like drugs. In Brainstorm a team of brilliant researchers have found a way to record and play back the actual experiences of people. It involves putting on a cheesy-looking oversized helmet and looking silly in the process; but hey, the sad truth is that sometimes other people's experiences are more vivacious than our own. If you're into, let's say, sports cars wouldn't you be interested in finding out what it is exactly like to drive the latest Porsche without having to actually buy or rent one? Can't surf, but still want to know what it feels like? Too chicken to do some serious downhill mountain-biking of your own? Examples are legion, and we don't even want to go into the seedier side of things here . . .
One evening one of the more stressed-out researchers (played by Louise Fletcher, Nurse Ratched in One Flew Over the Cuckoo's Nest) realizes that she is having a heart attack and decides to do what any cell phone-wielding teenager today would do: record it. The researcher dies, leaving behind the first snuff "squid" and a moral conundrum and dilemma for the researchers. Would it be right for the researchers to actually play back the recording and find out what precisely happens when we die? Are we even meant to know? Trumbull is of course better known for his groundbreaking special effects work on the likes of 2001, Close Encounters of the Third Kind and Blade Runner. Brainstorm may have been intended to be a showcase for a new film projection system called "Showscan" (it was however canned due to budgetary reasons), but the movie can't exactly be classified as a special effects movie. It isn't a loud brainless FX spectacle typical of the era at all. In fact it feels a bit like a leftover from the more cerebral ?Seventies era of science fiction cinema, and we're not just referring to the dated fashions and hairstyles here. 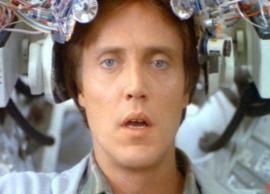 Like his earlier Silent Running, it is a movie of ideas, and fascinating ideas at that. Sadly, like Silent Running, it is also a frustrating movie in that the movie never lives up to its potential and that its denouement is pedestrian to say the least. Still, hard sci-fi fans should check it out and mourn Trumbull's exit from the Hollywood scene as director. Trumbull's experience on Brainstorm has so soured him so much that he never again directed another movie again. Instead he focused on theme-park rides (like the Back to the Future ride at Universal) and effects work for IMAX films. So what happened? 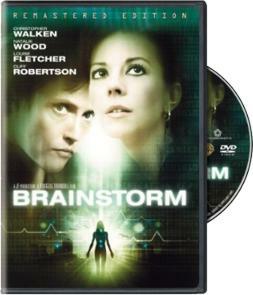 Natalie Wood died near the end of principal photography of Brainstorm in 1981, but the film was only released in 1983. Why the delay? It was because of a lengthy court battle involving Brainstorm's producers who wanted to leave the film unfinished and claim Wood's insurance instead. However the contract stipulated that the decision was Trumbull's and he finally completed the film after extensive rewrites and using a stand-in for Wood and changing around a few camera angles. Now, that's Hollywood for you!